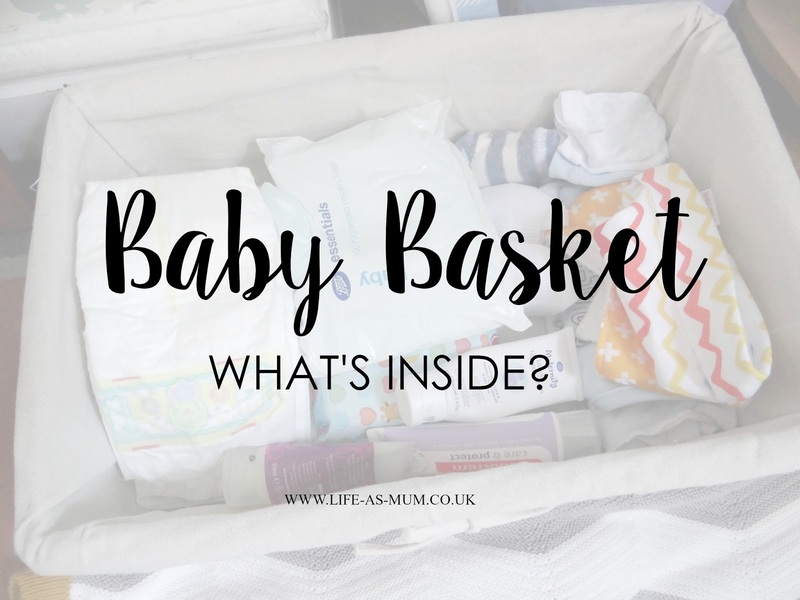 Baby Basket - What's Inside? When you've just given birth the last thing you want to do is go up and downstairs getting the baby a new nappy, clothes or getting the creams. This is one of the reasons I decided to fill up a basket before Freddie arrived and I keep the basket in the living room. It has been so handy and I did the same thing with Mia and Elliw when they were babies too. It saves me having to go upstairs or into another room each time I needed something for them. So, what exactly do I keep in this basket? 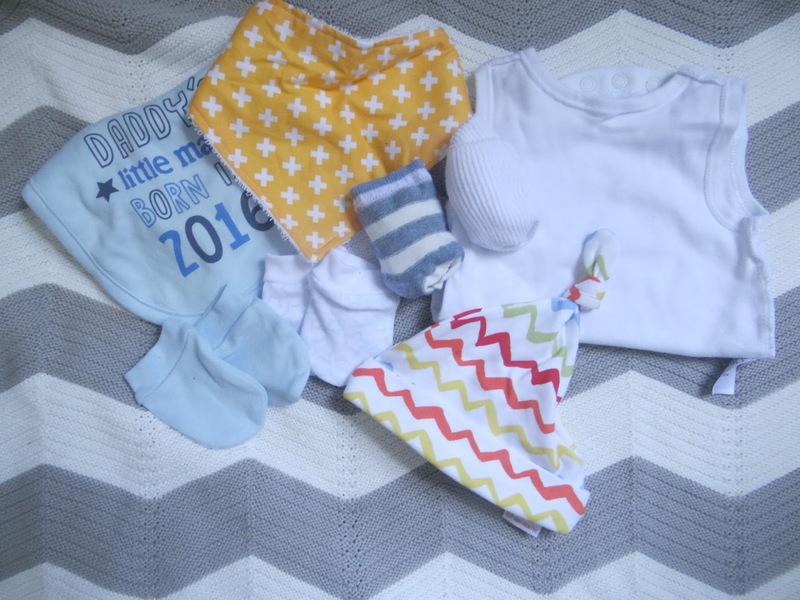 There are a mix of things such as a hat, mittens, socks, bibs, wet wipes, nappies, mix of creams, a vest and a spare piece of clothing. I buy different brands of nappies and wet wipes most weeks, it just depends which ones I like and what kind of offers there are at the moment at whichever store we shop at that week. So, as you can see from the photos above I use Pampers nappies which I rely on! When Elliw was a baby she would soak through every single brand we would buy. She pee'd so much it was unreal. Pampers were one of the best nappies we bought. I love using Pampers on Freddie but we have bought Tesco and Morrison's nappies too which have also been good. We usually go for the offer supermarket wet wipes from either Morrisons or Tesco. You can usually buy 5 packs for around £3 which I think is a brilliant offer with the amount of wipes we go through a week. I have 3 different creams. Sudocrem is a must have in every baby basket and changing bag. It's perfect for all ages, especially babies and their delicate skin. It's a great protection barrier. The other two creams are perfect for anyone who breastfeeds. The first cream is the Lanolin lotion I bought from Boots whilst I was pregnant with Freddie. The other cream is from MamaBabyBliss which has such a gorgeous smell! They have both really helped with soreness after feeding. 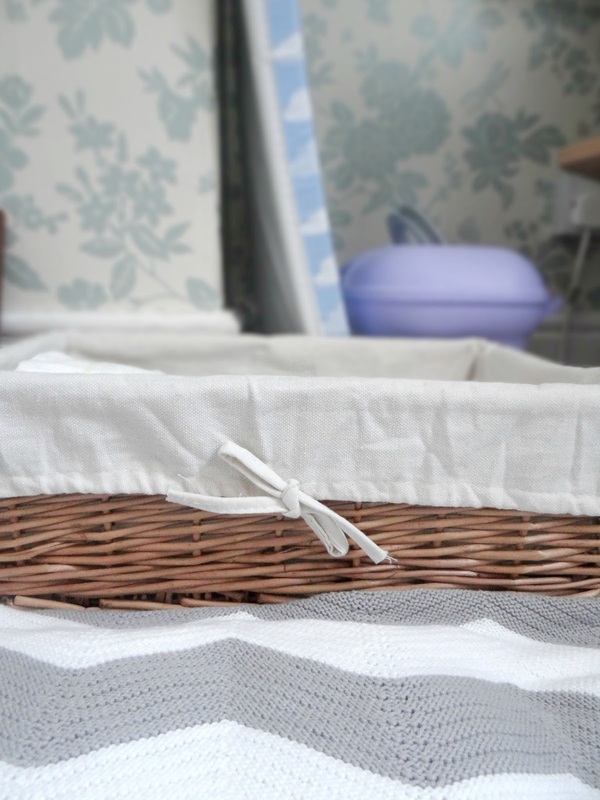 Do you have a baby basket? If so, what do you have in yours? Oh this is so cute and also looks super neat!